Most people have joined businesses, government agencies and organizations in making email their preferred method of communication in place of letters and other written forms of communication. An email you receive without anything in it identifying the sender does not have to leave you frustrated and bewildered. The email can become your springboard for a search eventually revealing the sender’s identity and perhaps even leading to a wealth of other information, including social media profiles. Finding someone on the internet is not as difficult as you might think once you have an email address. Many businesses and organizations have their own domain name they use for their email address. For example, Brilliant University might have BrilliantUniversity.edu as its domain name, so email sent by faculty and others using the school email have this as an email address: J.Smith@brilliantuniversity.edu. A site search at Brilliant University’s website could reveal the full name and additional information about the person who sent the email. Typing the email address into the search bar should produce results showing everywhere it has been used, including Facebook, LinkedIn, Twitter and other social media platforms. The only limitation is that someone with no website or who has never before used the email address will not return any results. Instead of a Google search, you can go directly to any of the social media websites and type the email address into the search bar that most of the make available. Your efforts should return locations within the particular social networking community where the email address has been used. One method of finding out who sent you an email is to simply respond to it. You can reply with a message asking the person or organization to provide an identity. Chances are this will not work with spam emails or an email from someone who is trying to remain anonymous. The idea of using an email address as the basis for a search to reveal information about the sender is the same concept behind reverse phone number searches. The electronic searches now run using a telephone number to find someone began with reverse phone number directories that were books, similar to the White Pages people used to look up a phone number by looking for the name of the person they wanted to contact. Reverse directories allowed you to look up telephone numbers to find the name of the party to whom that number was assigned. Online services offering reverse email searches work on the same principle as the reverse telephone directories. 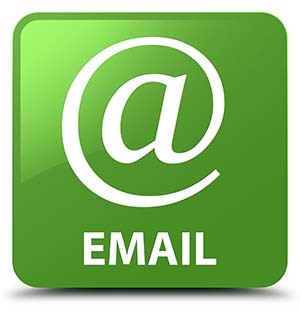 The email address is used to conduct a search to locate the name of the sender. This could be of use to someone plagued by spam email who wants to identify its source. The information from a reverse email search can be helpful in verifying what you believe to be true about the sender is supported by the information available on the internet. Once you have the individuals true name, you can locate additional information contained in public records about the person. Now that you’ve learned the true identity of the party sending you email, there is something you can do to stop some of it. The Federal Trade Commission has guidelines and regulations pertaining to the sending of unsolicited email by businesses. Companies violating the regulations can be subjected to monetary penalties for each violation. The Data & Marketing Association is recommended by the FTC for consumers who wish to opt out of receiving spam emails or unsolicited emails by registering with them and setting up filters to restrict the types of marketing and other forms of spam email you receive. Another method of stopping unwanted email is through your spam filter on the email service you now use. Instead of merely deleting spam, you should use the feature on your email account that allows you to report an email as spam. This will result in future emails from the same sender going directly to your junk mail.